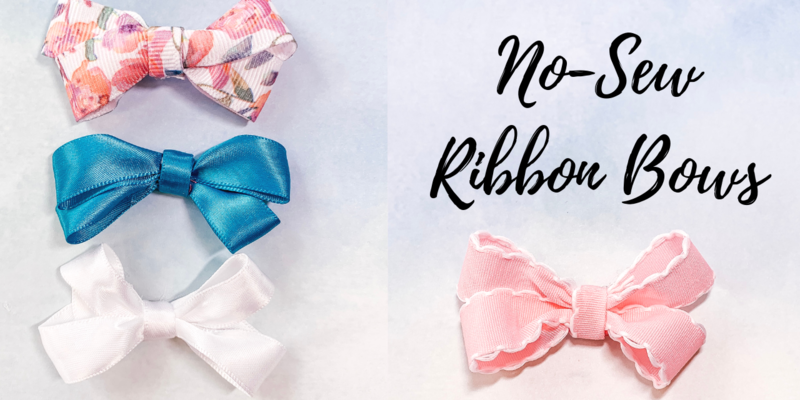 This no-sew ribbon bows post is made in paid collaboration with JOANN. All opinions are my own. I live in a land of tonka trucks, dirt, and super hero action figures. I’m surrounded by little boys 24/7. Don’t get me wrong–I wouldn’t have it any other way. But when two of my best friends found out they were having girls, I knew it was my chance to live vicariously through them. So I hit up my local JOANN and found the most girly ribbon I could find. 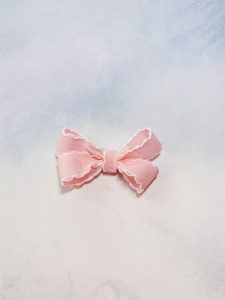 Then, I set out to make super cute, feminine, no-sew ribbon bows. And, no, I didn’t test the hair bows out in my baby boy’s hair when I was done…more than one time that is. For these bows, I wanted something that was fairly fast, and didn’t require any sewing. 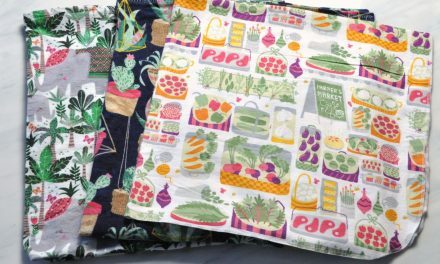 As much of a sewing fanatic that I am, sometimes my sewing machine and I have a love/hate relationship and we need a little break from one another. 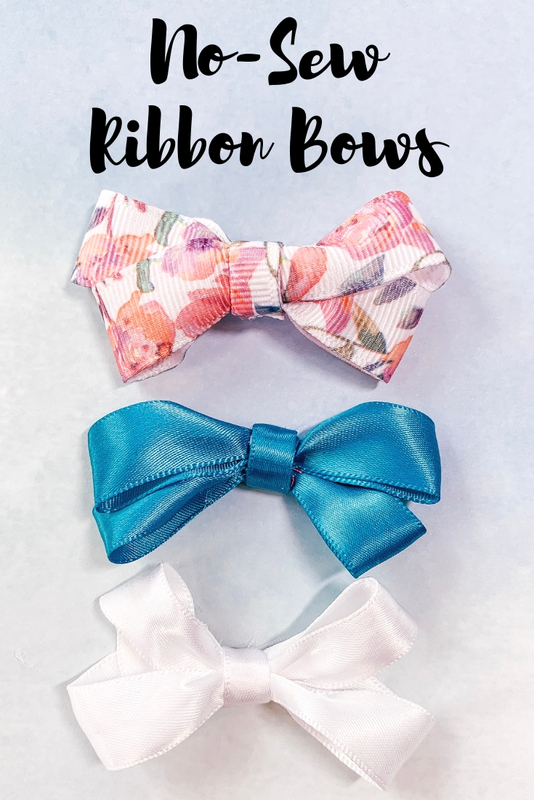 The full tutorial for these no-sew ribbon bows can be found in the video below. Cut two pieces of ribbon. One 12 inches, and one 3 inches. Use Fray Check on the raw edges to prevent fraying. 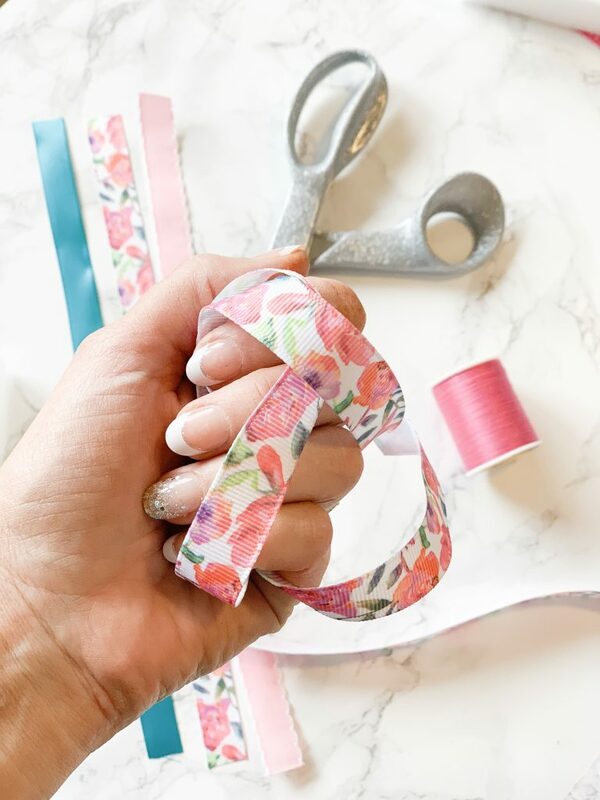 Create an infinity/eight shaped loop with your 12 inch ribbon. Be sure that the right side of the ribbon is facing out on top of the loops. Use hot glue to secure the ends to the center. Gently overlap the loops and pinch the middle. Wrap a strand of thread around the center to secure the gather in the middle. Using your 3 inch piece of ribbon, fold it in half longways, secure with hot glue. 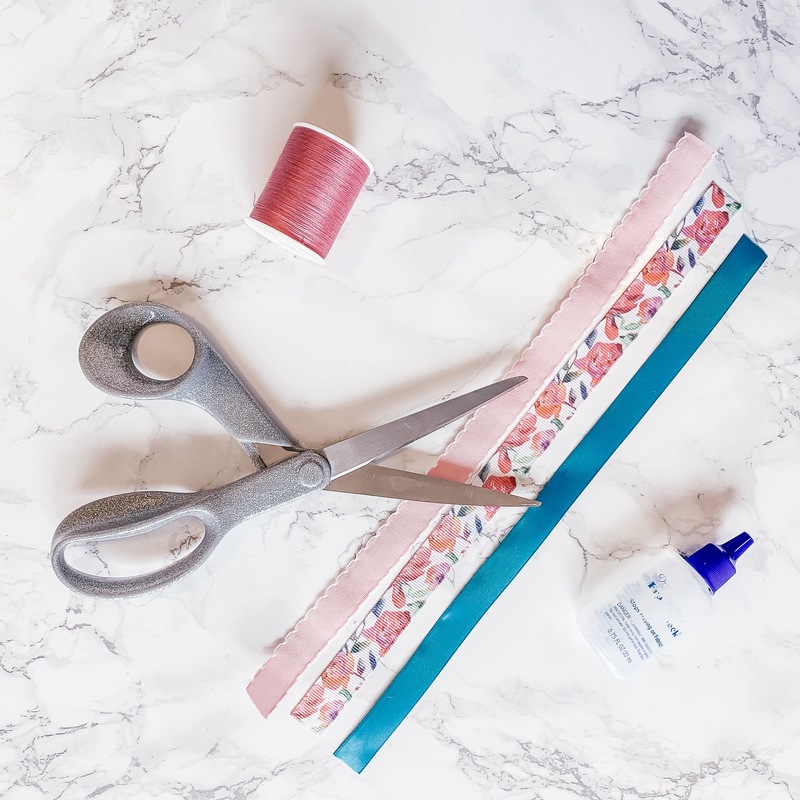 Once the glue has cooled on the smaller ribbon, wrap it around the center of the larger ribbon, covering the thread used the gather the middle. –Cut a strip from nylons or tights to create a headband, and use the center of the bow to attach it to the top. 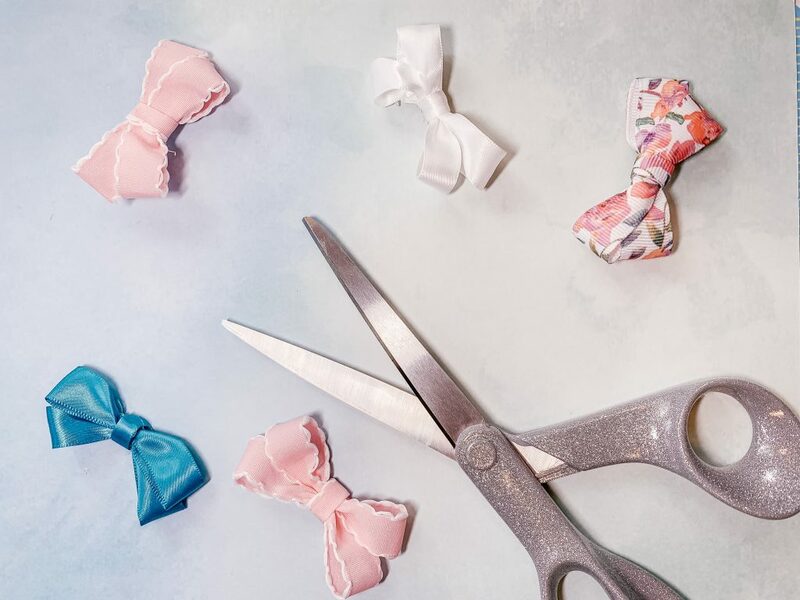 –Wrap center ribbon around hair clip to make the bow a clip-in hair accessory. Most of the rolls of ribbon came in 9 feet quantities; so you can make about 7 of these no-sew ribbon bows per a roll. They have an even bigger selection in store at JOANN than they do online. 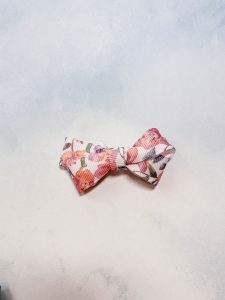 I just came across this rainbow ribbon on their site though, and I just might need to get it as well! 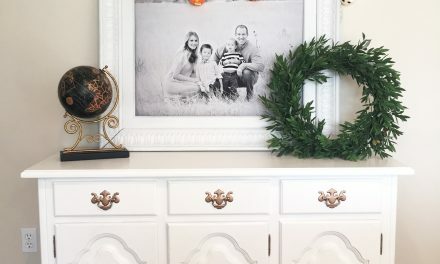 Please tag me on Instagram if you use this tutorial and make these! 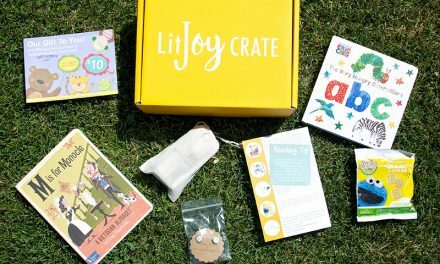 I’m @karametta there, and I love to share what you guys are making! 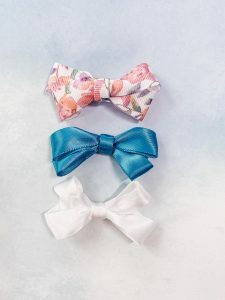 Also, if you have any other easy bow tutorials you love, feel free to leave me a comment so I can check them out as well! Also, for kicks and giggles, feel free to check out my first no-sew bow tutorial from 6 years ago. We’ve come a long way, friends.